Makeup for your legs exists. And you'll actually love it. It’s a classic pale-girl scenario: you get invited to the races last-minute and realise you haven’t tanned. 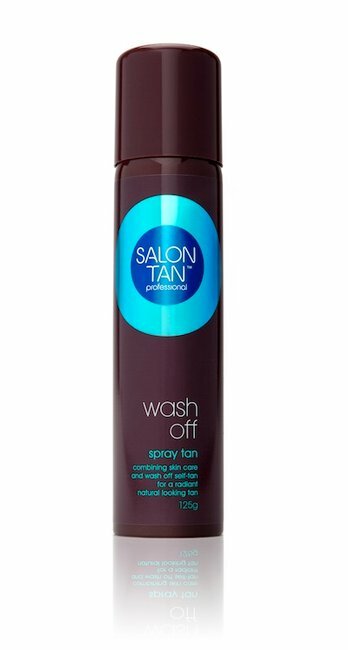 To all you naturally-tanned ladies out there, I’m not referring to a quick lie-out in the sun – I’m talking about a solid hour of shaving, exfoliating and fake-tan application followed by several awkward hours attempting to dry off. For those that haven’t been there, just imagine how you feel after painting your nails, then times that by your whole body. Now you have two options: wear pants to the races or blind the public with your moonshine silver limbs. 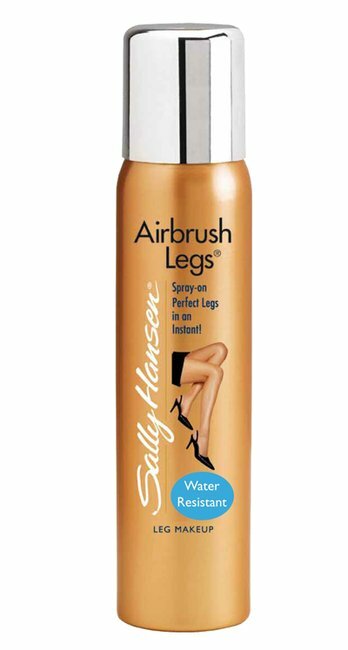 To save your dignity (and a few burnt-out retinas), get your hands on some leg makeup. Yes, it exists. And it’s just as good as your favourite foundation. I like to describe leg makeup as Photoshop in an aerosol can – in seconds you can give yourself a summer glow, while at the same time hiding bruises, freckles and other imperfections. It’ll be like your UDI (unidentified drunken injury) never happened. Even Kim K has admitted to using the spray to cover psoriasis on her legs. They say if it sounds too good to be true it probably is, which can be the case for leg makeup if you don’t use it properly. 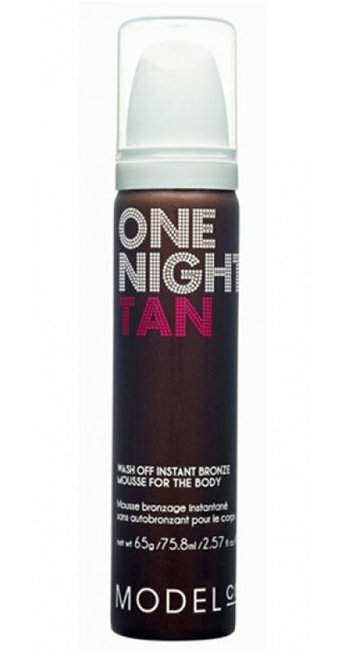 Just like any fake tanning product, it can all end in tragedy without the right preparation and maintenance. 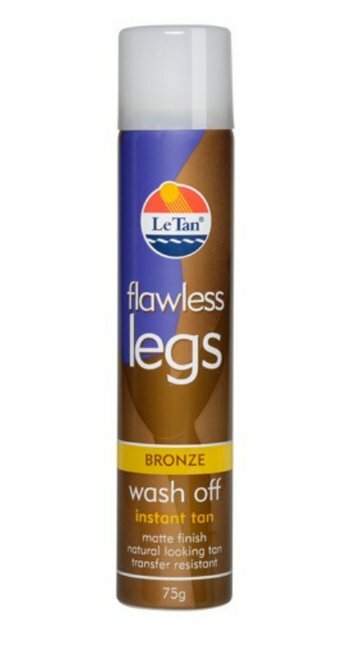 To avoid looking like your legs have been replaced with Twisties, make sure the leg makeup is only a shade or two darker than your natural skin tone. Another precaution – make sure you exfoliate before you apply. Snakeskin print looks great on a handbag, but not on your legs. 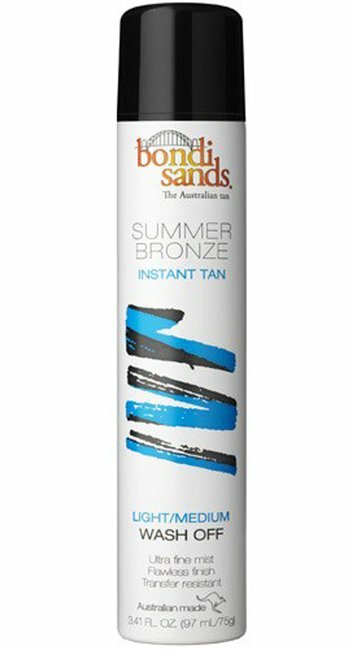 "Ask an expert: how do I get a fake tan that looks natural?" Now for the good stuff - although they’re instant, these products won’t transfer onto your clothing after they dry. You don’t even have to worry about your perfect skin washing away in the rain, like the melting witch from The Wizard of Oz. Most leg makeup products stay put until you wash them off with warm soapy water - and if yours doesn&apos;t, it&apos;s time to go shopping. To reap all the benefits from this Photoshop-in-a-can, remember these three things: exfoliate, colour match and moisturise. What&apos;s your favourite last-minute product?